Famous fashion designer, Marc Jacobs has designed the new limited edition of Diet Coke Cans.. Talk about drinking in Style. The edition gives tribute to Female power showcasing women of the nineties, eighties and earlier. 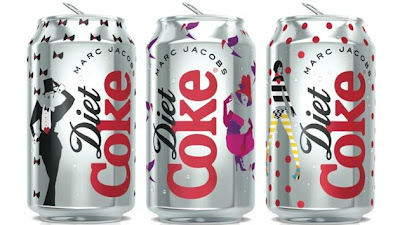 As part of Diet Coke's 30th anniversary dubbed ""Sparkling Together for 30 Years. "", Marc Jacobs was named Creative Director of the brand this year. Kudos! Question: Is it coming to naija?